This portable cargo box is a durable, lightweight, and inexpensive utility box. The box installs in seconds to the roof or fold down rear seat of any golf cart. -Fits on all golf carts with fold down rear seats and/or tops including Club, E-Z-GO, Fairplay, Tomberlin and Yamaha golf carts. -The dimensions are 40" x 30" x 9". -The golf cart cargo box is made of light weight, but durable, hard ABS vacuum molded plastic that will hold up in the sun for years. 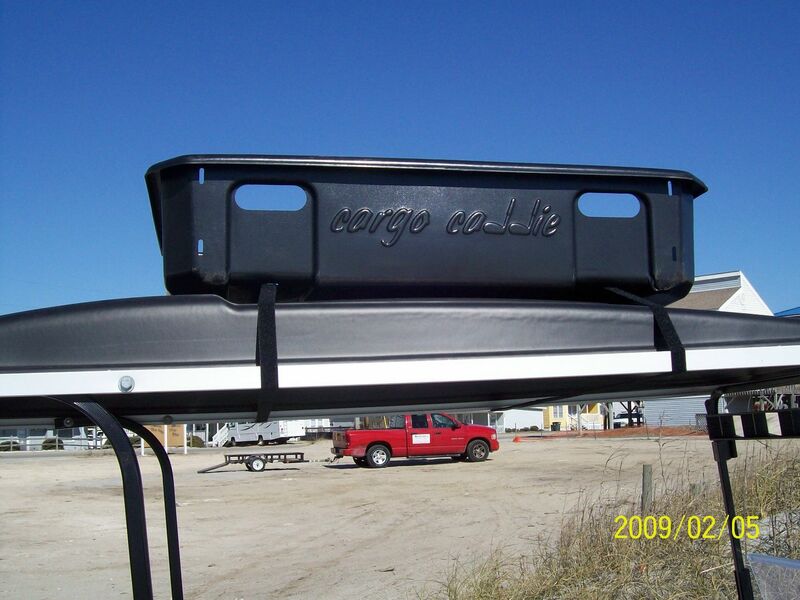 -Comes with four custom velcro straps to hold the cargo box in place on the golf cart. -Has handles on the sides for easy pick up. Dealers who bought the golf cart portable cargo box, also called the Cargo Caddie, were interested in golf cart storage trays and grocery and utility bags. Granby Trading Co., Inc. offers a full range of golf cart accessories and golf cart parts. 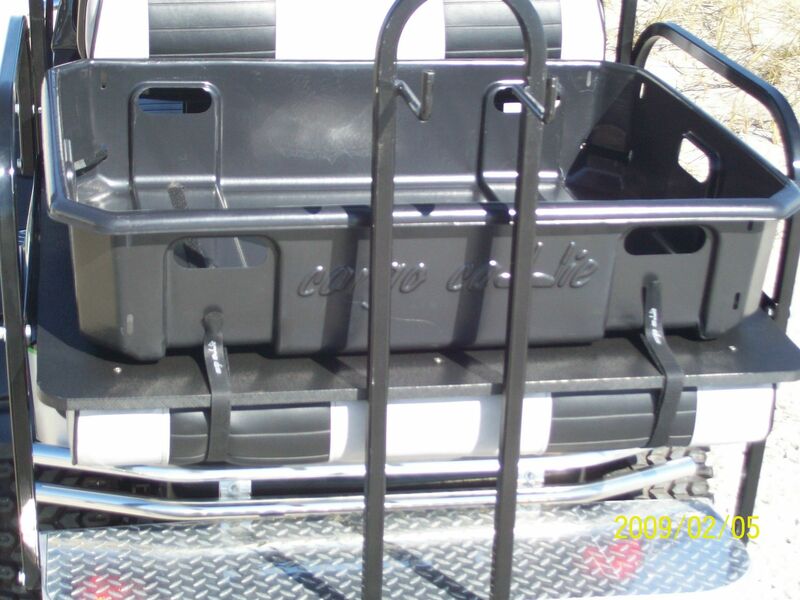 The portable golf cart cargo box can be mounted either above the golf cart top or on the folded down rear seat. Because of its light weight, the cargo box can also be carried to a picnic area. Click on any of the golf cart products on the left to get full details and descriptions. We work with golf cart dealers only and provide responsive, quality service. 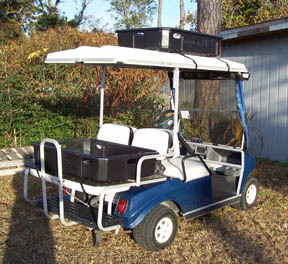 You can be assured that we will deliver the best golf cart accessories available.